Item # 307595 Stash Points: 9,995 (?) This is the number of points you get in The Zumiez Stash for purchasing this item. Stash points are redeemable for exclusive rewards only available to Zumiez Stash members. To redeem your points check out the rewards catalog on thestash.zumiez.com. 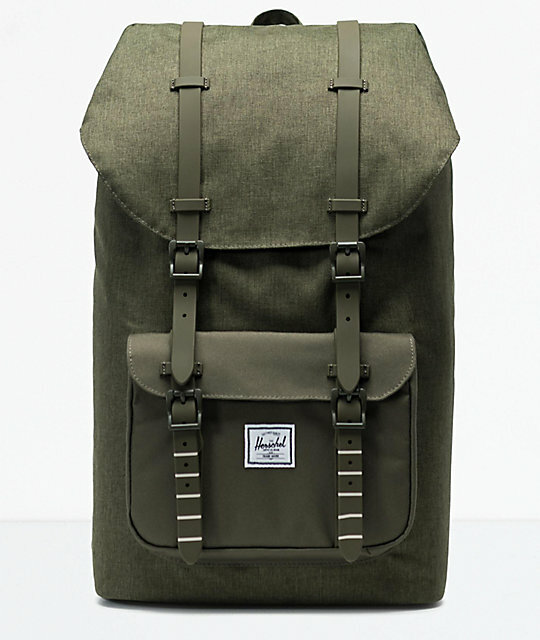 Gear up for your next adventure with the Little America Olive Night Backpack from Herschel Supply Co. 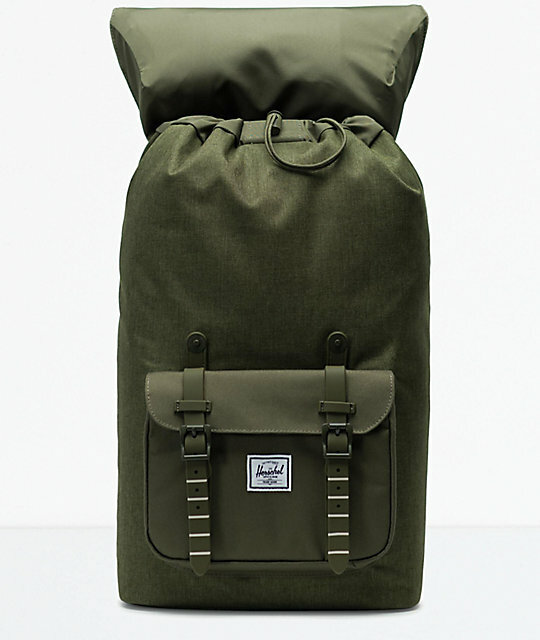 This dark green bag offers 25 liters of carrying space and even includes a 15 inch fleece lined laptop compartment. 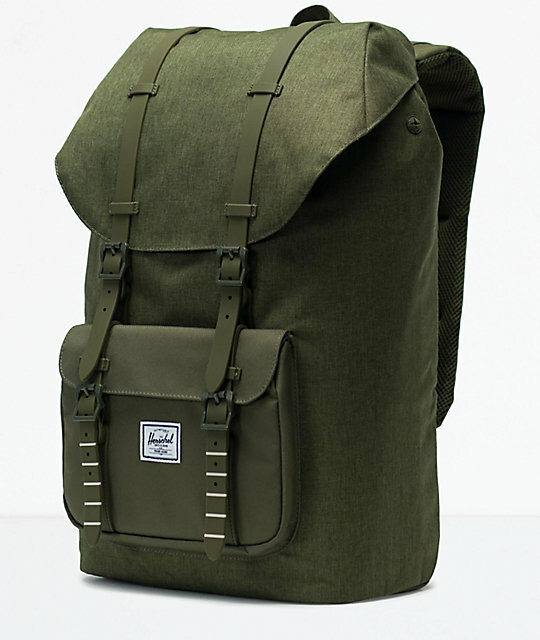 Featured with a rubber strap closure, padded shoulder straps and a durable canvas construction, this backpack was built to last for years to come. 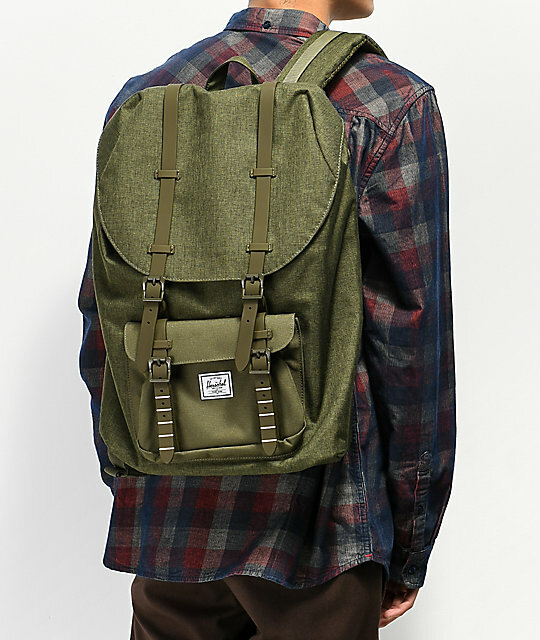 Little America Olive Night Backpack from Herschel Supply Co.
Cinch drawcord main compartment closure. Green rubber straps with white stripes. Magnetic strap closure with metal pin clips. 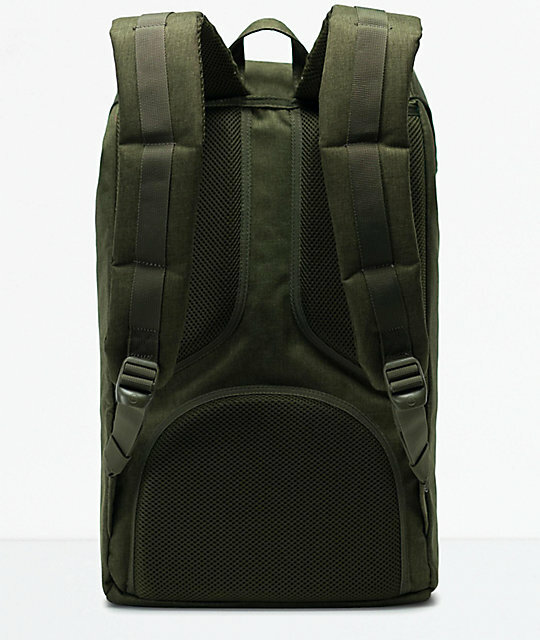 Adjustable, contoured, air mesh padded shoulder straps. Dimensions: 19.5" H x 11.25" W x 7" D | 49.5 x 28 x 17cm.